So as some of you may already know, I'm not exactly a morning person. By that I mean, I'm a bit like Anna (from Frozen) on coronation day or worse... I'm groggy, don't really know what's going on, and definitely don't feel like cooking a complicated breakfast recipe first thing in the morning. 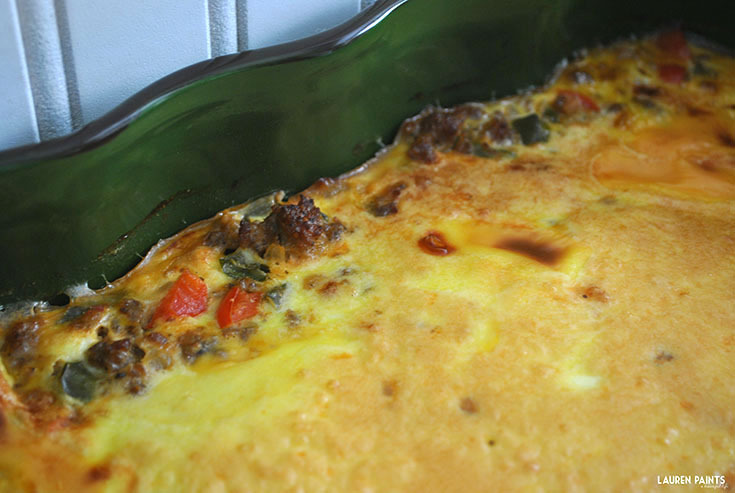 So when hubby surprised me with plans to have friends over for brunch this weekend, I wasn't sure what was on the menu but knew I had to come up with a quick, delicious recipe pronto. I panicked, jumped online, and found the Kraft Food Hub. 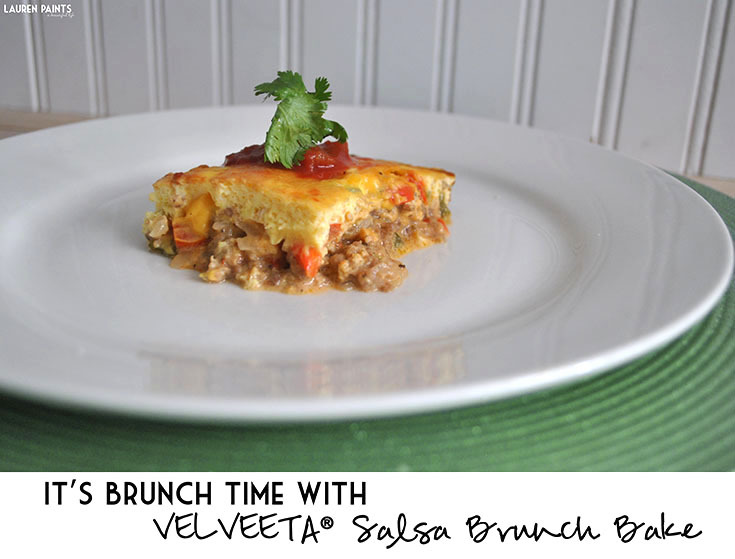 In a hurry, with my mind racing I began browsing through all the delicious meal ideas and found this VELVEETA®-Salsa Brunch Bake recipe and knew this was the dish to serve at our impromptu brunch. 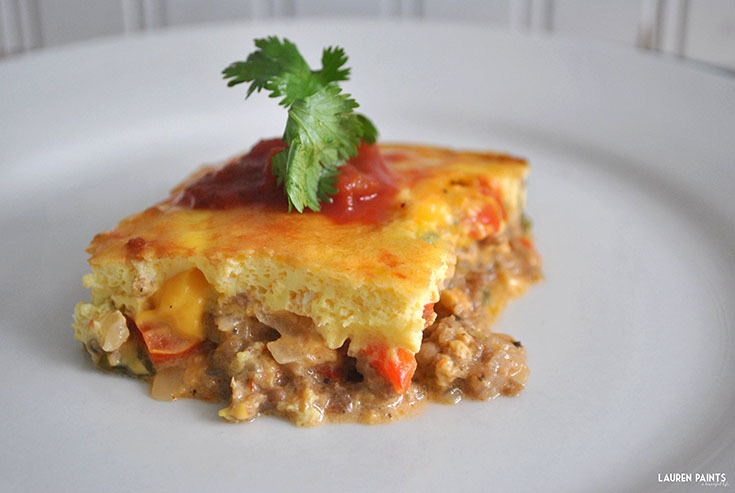 Cheesy egg goodness with a large dose of salsa, peppers, onions - the perfect mixture of wholesome ingredients to leave you feeling full and happy. What else could brunch guests ask for? After only 20 minutes of prep time, I placed this tasty looking dish in the oven for 40 minutes. This left me with just the right amount of time to put myself together and get the kitchen cleaned up. Hubby was so surprised when he came downstairs and noticed my hair was done, my make up was on, and brunch was baking in the oven. I felt a bit like the perfect homemaker waiting patiently for my friends to arrive, which happens pretty much... uhhhhhmmm, never. It made for a peaceful and relaxed morning, which was a great way to start our day. Cook sausage, onions and peppers in large skillet on medium heat 6 to 8 min. or until sausage is done, stirring occasionally. Drain; return to skillet. 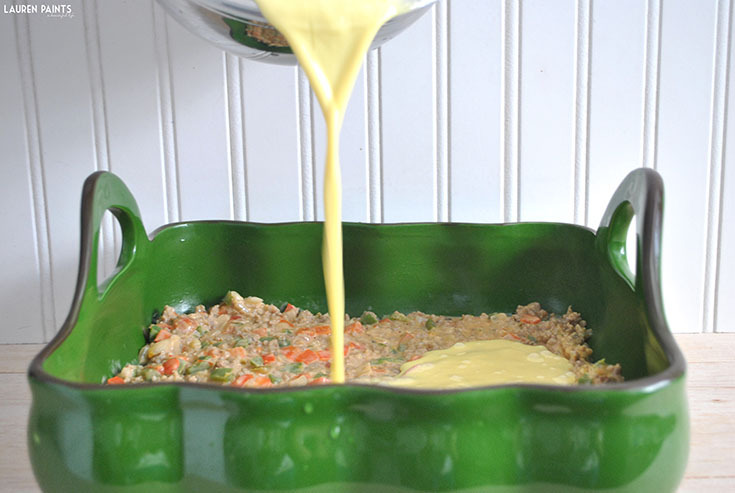 Stir in salsa and half the VELVEETA; spread onto bottom of 13x9-inch baking dish sprayed with cooking spray. Whisk eggs and sour cream until well blended; pour over sausage mixture. Top with remaining VEVLEETA. Bake for 40 min. or until center is set. Are you looking for new recipes to try? 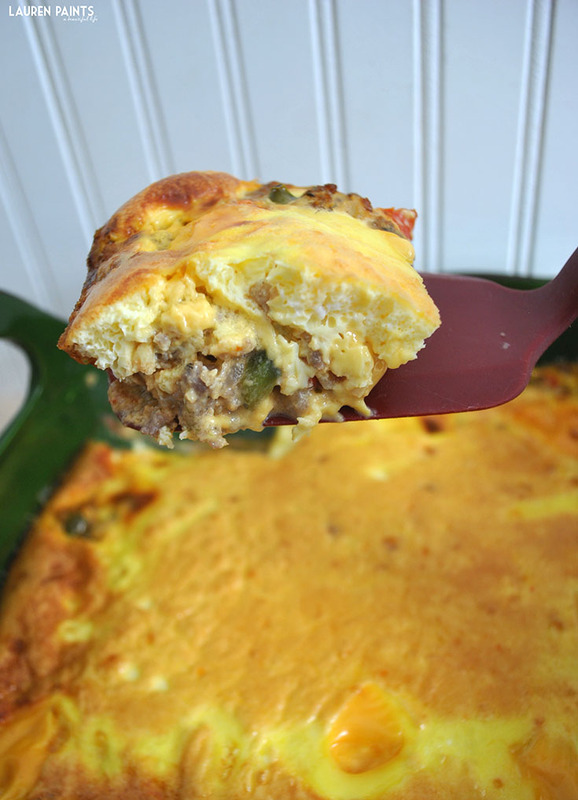 Head on over to The Kraft Foods Hub to find recipes everyone will love! Plus, watch the game day finger food video for tips on how to make a delicious mac n' cheese treat! Don't forget to scroll down the page to create a collection of your favorite Kraft Recipes and be entered for a chance to win a $100, $250, or a $1,000 Walmart gift card! 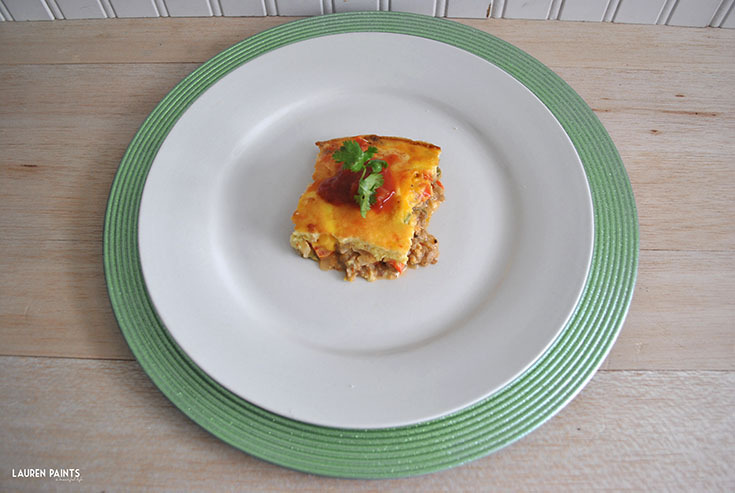 Simply create an eCard with your favorite top-Pinned Kraft Foods recipes, fill out the entry form, and then share your card! It's that easy to get your name in the pool to win big!